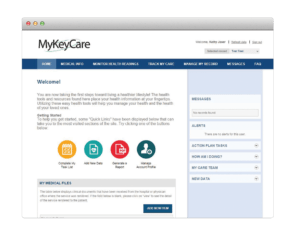 Keystone Health Information Exchange (KeyHIE) is a secure, web-based health information exchange linking hospitals, long term care facilities, home health agencies, community health clinics/offices and other healthcare professionals to ensure a patient’s health information is accessible whenever or wherever it’s needed to deliver care. Established in 2005, it serves more than 4 million patients through a network of 22 hospitals, 174 physician practices, 28 home health locations and 61 long term care facilities in more than 53 Pennsylvania counties. KeyHIE sought to make its HIE compliant with Meaningful Use Stage 2 requirements without losing capability or usability. 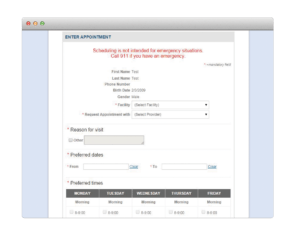 It was imperative for the patient experience that the patient portal was a unified, agnostic solution. KeyHIE integrated Get Real Health’s InstantPHR platform with its HIE to allow patients unprecedented access to their health information, the ability to share that information, securely message their providers and receive personalized educational data through the system. To maintain separate databases for patient data and clinical data, Get Real Health’s CHBase platform stored a copy of the patient’s clinical record from the HIE for the patient to access. Because of the vast nature of the organization, continuity across all user experiences was vital. In conjunction with Orion Health, Get Real Health was able to migrate all of the existing data while increasing usability and Meaningful Use capabilities. The result for KeyHIE was a federally compliant offering that was nimble enough to upgrade to support future regulatory requirements and long-term patient engagement initiatives and strategies. By utilizing the InstantPHR toolbox, KeyHIE kept its product current with industry initiatives around patient engagement and enabled patients to become active participants in their healthcare. KeyHIE provided its patient base the most up-to-date features allowing them to be active participants in their personal health care and that of their families. By building a multi-layered solution, KeyHIE was able to preserve the data in their current HIE and improve the benefits to the users and the organization through Meaningful Use attestation.